Her er 3 siste fra PC Fosses blog. (Se hele bloggen her). I was at Sudndalen a couple days ago. 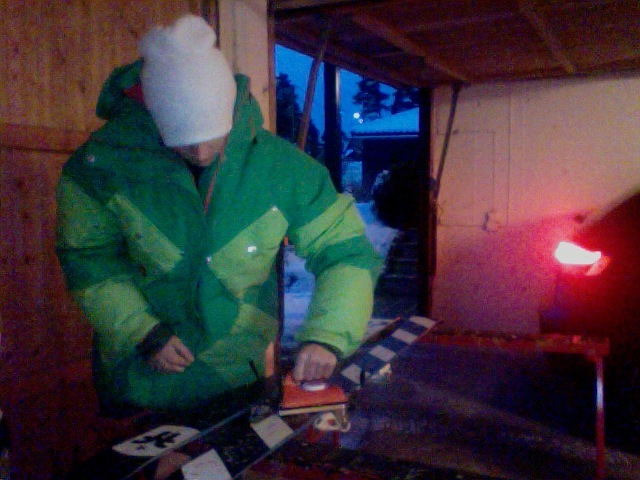 Me and Andreas HÃ¥tveit was jumping at his backyard, ItÂ´s just amazing what a sick backyard he has!! PC Fosse @ HatveitÂ´s from PC Fosse on Vimeo. Tomorrow Im going to Breck.CO for the Dew tour so I guess that will be tons of fun! 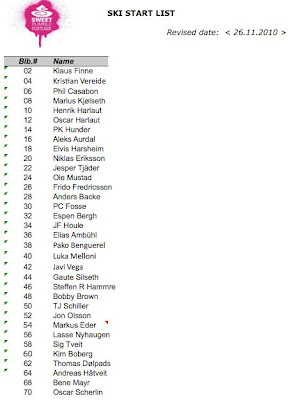 Im going there with the Norwegian crew:Aleks Aurdal, Anders Backe, Elvis Harsheim, Klaus Finne and Thomas Dolplads. The course wil have 4 jumps and 4 or 5 rails..
Will try to update from breck with some photoes and maybe a edit..
Today is the qualification for tomorrows SWEET RUMBLE finals here in Trysil. The jump is really fun to hit, 19 m to the knuckle and a poppy kicker. Im soon done with packing all my skigear and stuff and ready to leave to Stockholm. The Practise and qualifications are on friday and finals on saturday. With just 8 of 24 going trough to the final, it will be a hard battle! Last year it was over 20 000 in the crowd so im sure it will be fun anyways.. I got a spot there last year but couldt do it couse of my head injury so this will be my first time over there, so i am really looking forward to it. Winter Jam & King of Style 2009 from Fri Flyt TV on Vimeo.